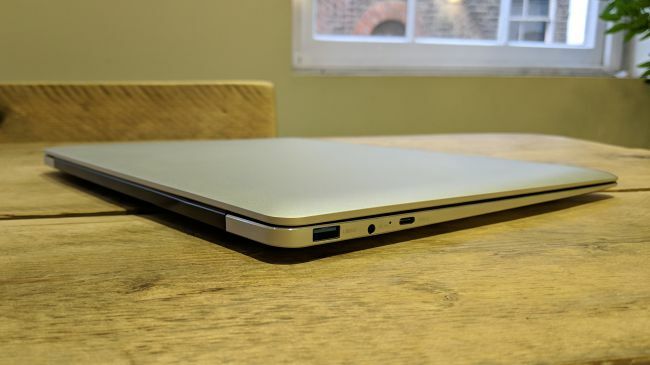 The i35 was never going to perform as well as a fully-fledged Core i3 or Core i5 powered notebook. The fact that it uses a PixelSense display means that some compromises had to be made when it came to the choice of components: for example, there aren’t a lot of processors with a powerful graphics subsystem and a low power consumption. The fact that this laptop employs a SATA SSD, as well, weighed down some of the benchmarks we tested the i35 on. All in all though, it should be powerful enough for office productivity tasks. Just be careful about the battery life since six million pixels will eat through the battery fairly quickly. 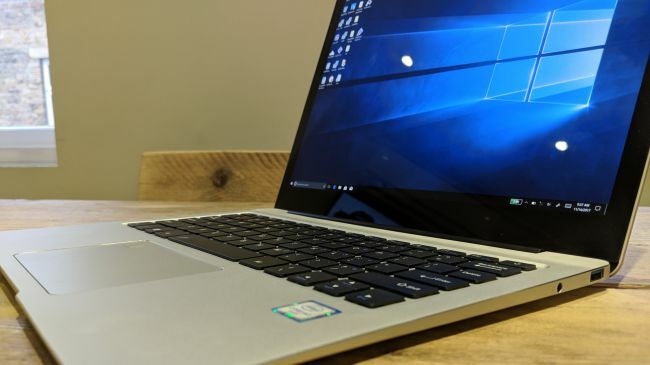 We managed 3 hours 34 minutes in our standard count-up YouTube video test, not the most gruelling of benchmarks, but one that nonetheless requires Wi-Fi connectivity and pushes brightness to 100%. Decreasing the screen resolution and the brightness will definitely help eke out more longevity. 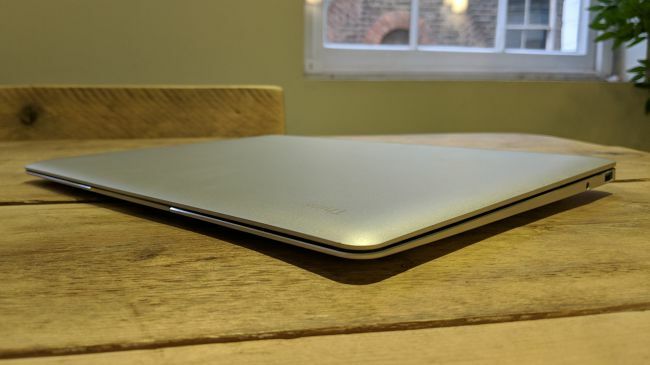 The keyboard is not backlit and provides decent feedback with the right level of spring and travel. 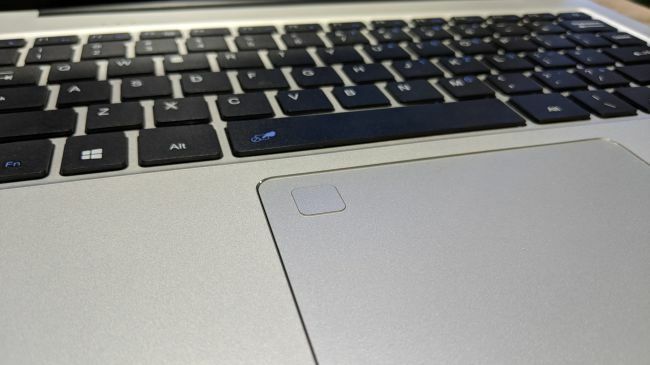 The power button is located on the keyboard, just below the backspace key, with three tiny status lights placed above the F2 and F3 function keys. We loved the touchpad: it is tall enough, making full use of the extra width provided by the 3:2 aspect ratio screen, plus single and multi-finger gestures work great with no lag detected. 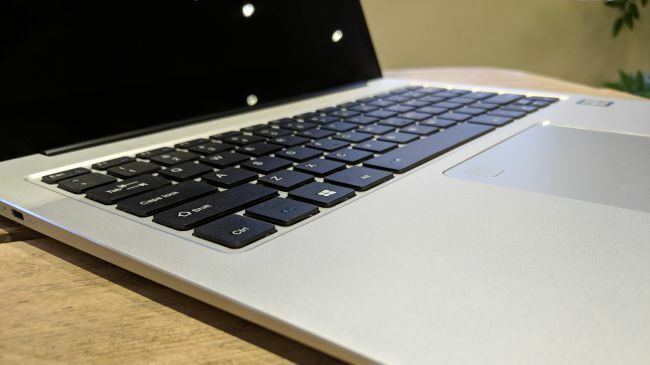 Note that the touchpad integrates a fingerprint reader which does come in handy. Using the stylus with the i35 was a doddle but bear in mind that this is not a convertible device, which means that you won’t be able to draw properly on the screen unless you hold it firmly (or put something behind it to stop the display from wobbling). There isn’t any real competition to the i35. 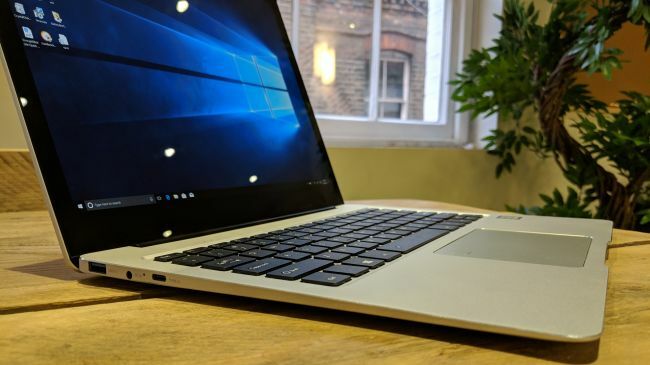 The Surface Book costs several times more than the Thinker, and the Chuwi Hi13, a potential rival, suffers from an underwhelming set of components (Celeron CPU, eMMC storage, only 4GB of RAM). 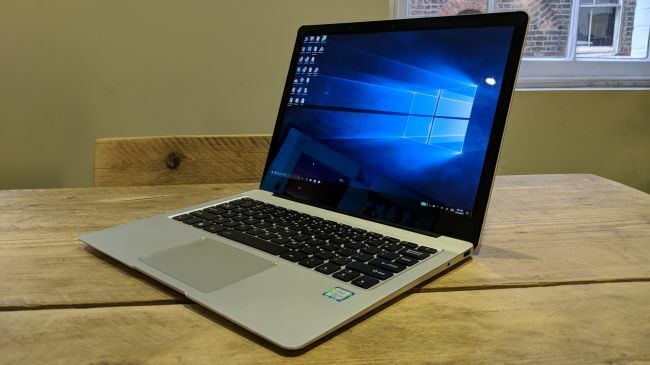 The same weaknesses afflict Chuwi’s LapBook 12.3, another entry-level laptop with a 3:2 aspect ratio. 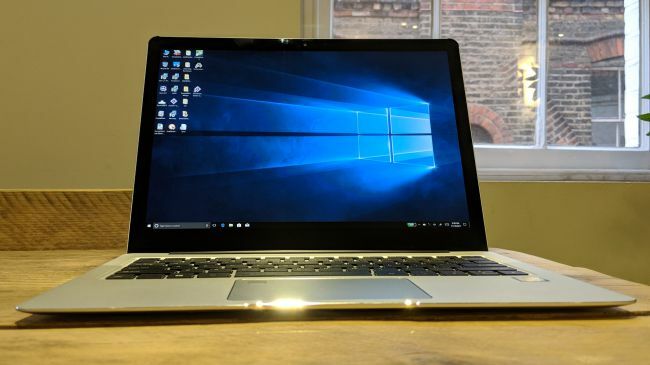 To put it succinctly, we have yet to find a laptop that is portable with a high screen resolution and a low price tag. 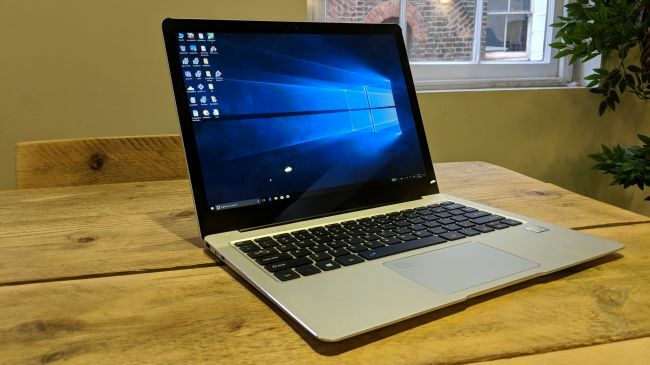 The Asus ZenBook UX510UW and the Microsoft Surface Laptop remain our recommended choices for those looking for a safer UK-based option. Why would you go for the i35? 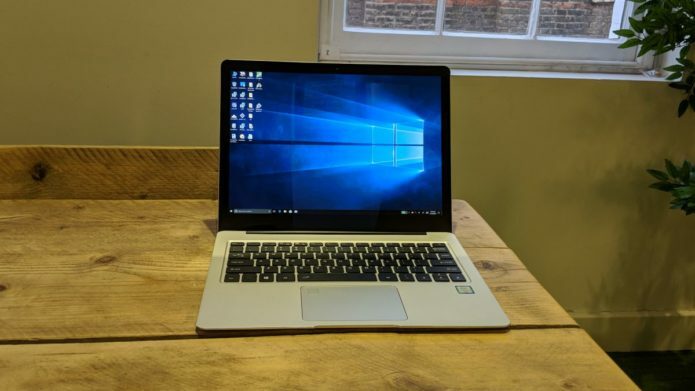 Well, if you want to embrace the sort of experience that the Surface Book delivers, then the Alldocube Thinker deserves a chance. 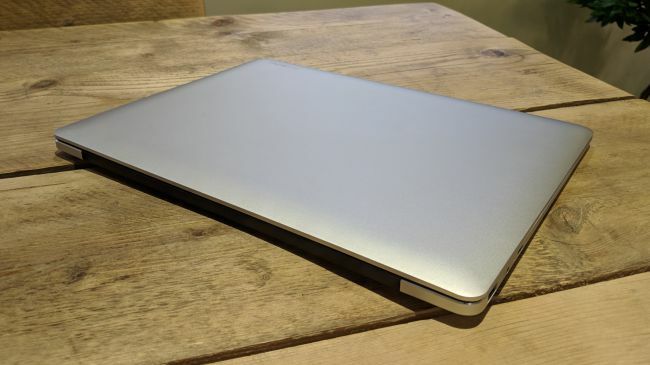 The real question is whether customers will be ready to fork out £450 ($590) for this Chinese-sold notebook – and potentially around £550 ($720) if they’re stung by import fees.